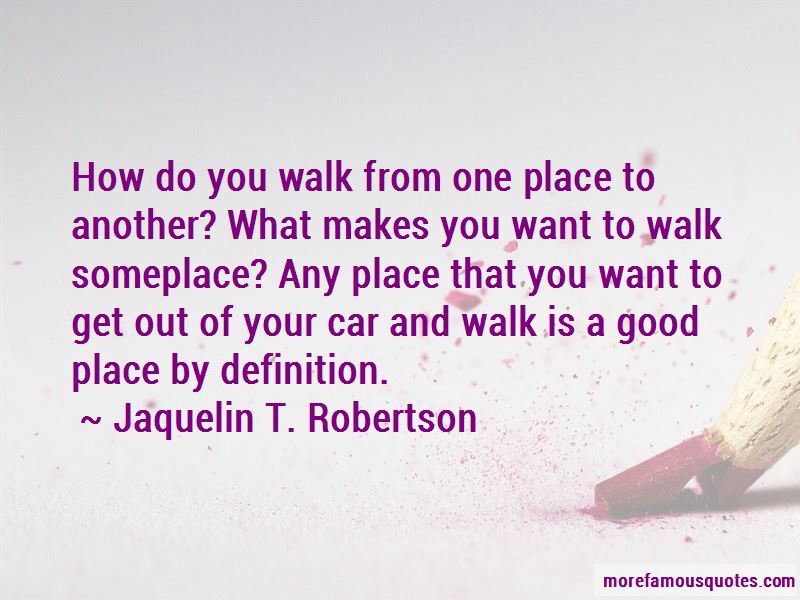 Enjoy the top 9 famous quotes, sayings and quotations by Jaquelin T. Robertson. I always say, 'What if you had to sell the house tomorrow?' 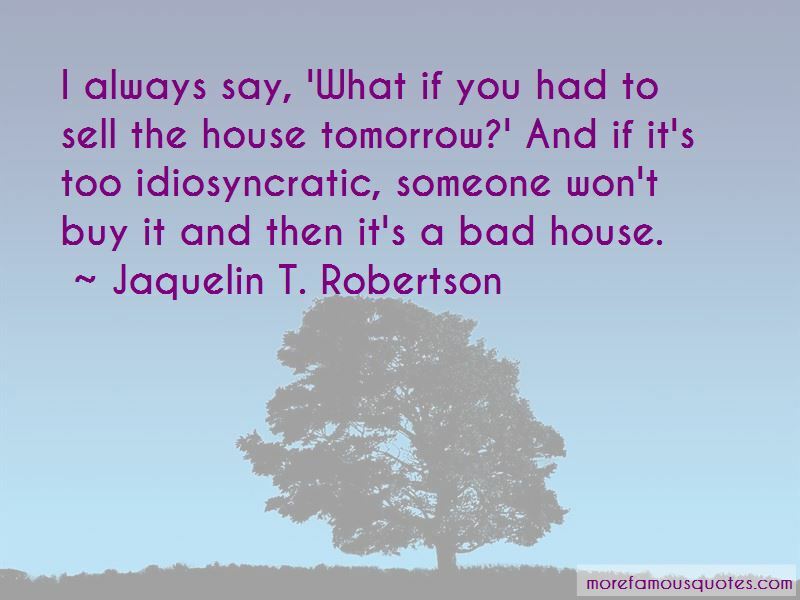 And if it's too idiosyncratic, someone won't buy it and then it's a bad house. A house isn't really understandable until it settles into the site: until it's built, furnished and lived in for four or five years. 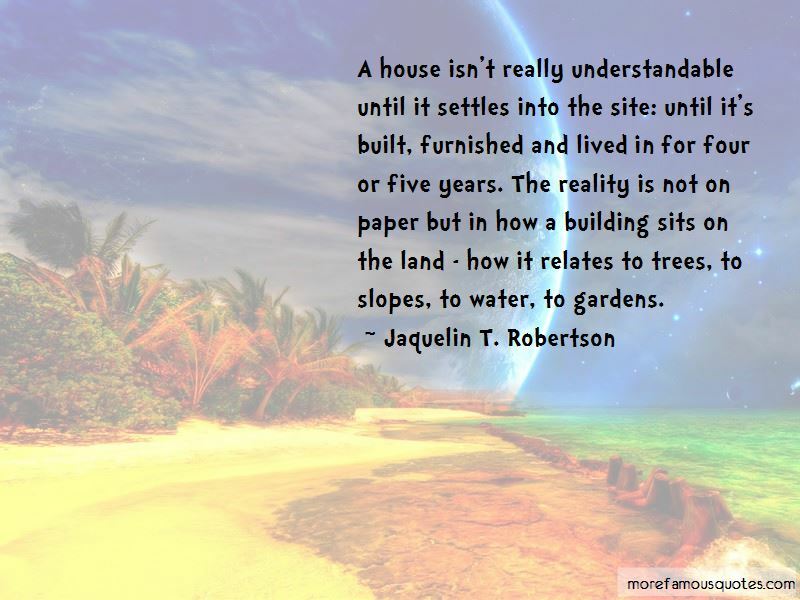 The reality is not on paper but in how a building sits on the land - how it relates to trees, to slopes, to water, to gardens. 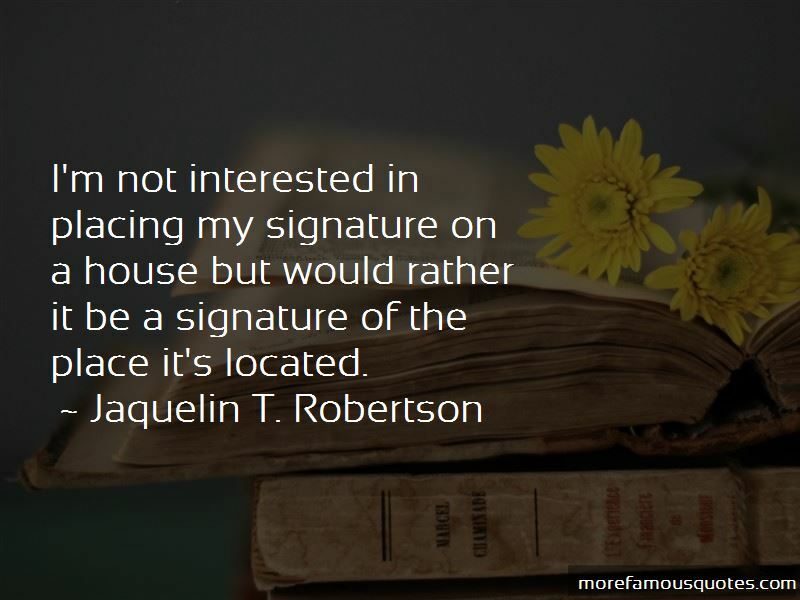 Want to see more pictures of Jaquelin T. Robertson quotes? Click on image of Jaquelin T. Robertson quotes to view full size.